A shot from a performance of “The Curious Incident of the Dog in the Night-Time” leaves us even more curious to know about this pose! 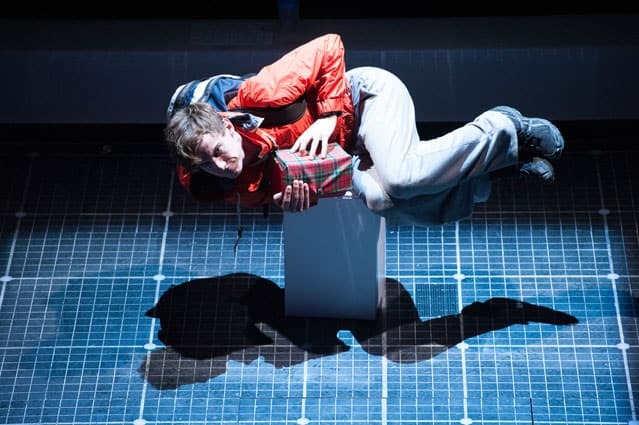 Sunday, April 19 at 2 p.m. — RUTLAND — Continuing on Sunday, April 19 at 2 p.m., the Paramount Theatre offers an encore broadcast of “The Curious Incident of the Dog in the Night-Time” as part of the Live in HD from the National Theatre of Great Britain. This smash hit at the National Theatre, currently running on Broadway, is adapted from the best-selling novel by Mark Haddon. Tickets for the screening are $15, available at paramountvt.org, by calling 802-775-0903, or at the Paramount Box Office at 30 Center Street, Rutland.